Reverting to traditional, simple, good practice can enhance the offering of many family farms. David Baker went back to basics, started small and discovered a new market and a very optimistic future. Clemmie Gleeson reports. Having grown up on a fruit farm in Cambridgeshire, David Baker loved the outdoors life, but was unclear how he would make a career from it. As a biological sciences student at Warwick University, he found himself spending much of his time in laboratories or student accommodation. At the end of term, David would head back to the Cambridgeshire countryside and, one holiday, he secured a job with a local suckler herd. This first experience of working with livestock turned out to be life-changing. He started looking at career opportunities in the livestock industry, but his dream was to farm in his own right. 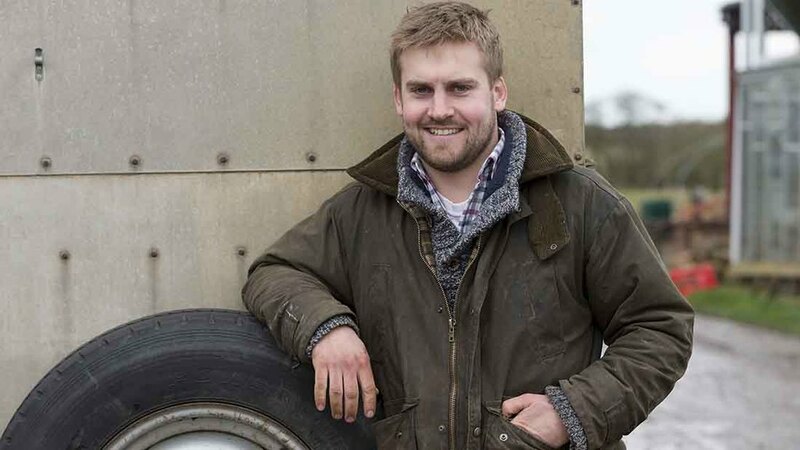 After graduating, he spent a year working on dairy farms – initially in Wiltshire for six months before heading out to New Zealand. On his return to the UK in summer 2010, he planned to work on the family fruit farm and a local arable farm. His parents Ben and Lydia had a long-established soft fruit business, selling direct to customers from a small on-farm shop. 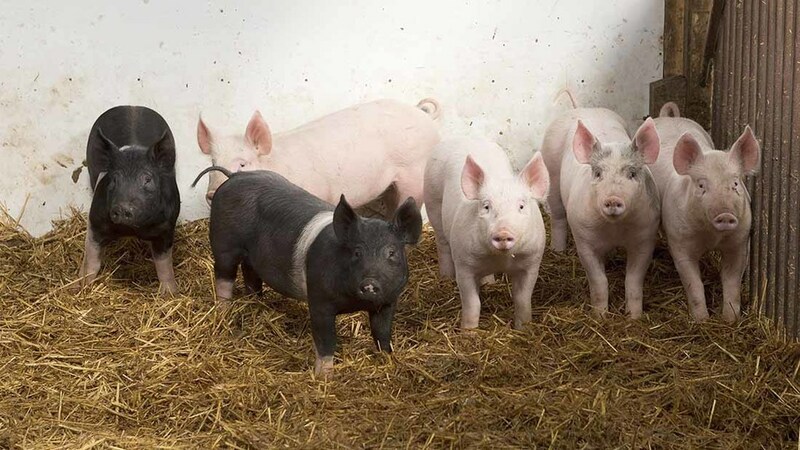 With encouragement from the family, David decided to buy 10 weaner pigs to fatten, which included Large Blacks, Oxford Sandy and Black, Hampshire and Large White, which he reared in an old orchard. He collected the names and telephone numbers of 60 potential customers this way, so once the first six pigs reached finished weight, David sat down to phone them all. Encouraged by his customers’ enthusiasm for pork, David wanted to start producing beef and lamb. So one day when he spotted a local beef producer out in the field making hay, he walked across the field to introduce himself. David bought four Hereford heifers in November 2010 and, soon after, four steers which were Aberdeen-Angus and Hereford crosses. While a shed had been extended and altered to make winter accommodation for the pigs, David and family built a pole barn from scratch for cattle and later a hay barn too. 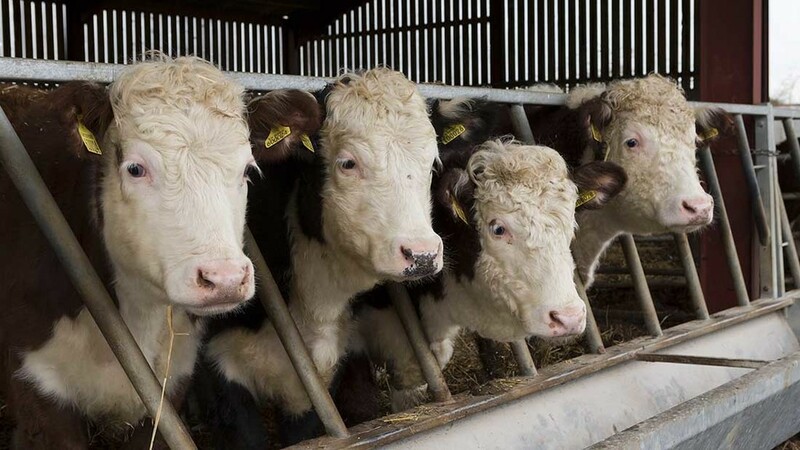 Meanwhile, a neighbouring farmer offered him the use of five hectares (12 acres) of grass nextdoor to the fruit farm, so in April all the beef animals were turned out. David’s first lambs arrived on-farm in spring 2011. Later, he bought a further 25 hoggets to fatten and start his breeding flock and this year bought further Texel and Charollais ewes from a relative to bring his flock up to 75 ewes. After selling all the meat from the farm, David soon decided he wanted to be able to cut meat specifically to his customers’ requirements. He met a retired butcher who lived locally and was keen to share his skills, so he decided to build a butchery. He had already commandeered a cold store from the fruit business, but needed to invest in further equipment and storage. Once it was ready, he then started his butchery lessons with the retired butcher. He began opening the butchery every weekend and quickly built up a loyal customer base. Gearing up for lambing time, David has made good use of some of his father’s redundant equipment. Some fencing, once used underneath tabletop strawberries, has been repurposed as corrals for ewes waiting to give birth. Similarly, an old polytunnel has made an ideal nursery with bales and hurdles to create individual pens. While his father Ben helps keep an eye on lambing pens during the day, David says his flock is small to justify hiring in help for night times. Instead, he sleeps in his parent’s caravan, which he has positioned alongside the lambing pen. Several of the new ewes are first-time mothers, so David is watching them closely. The beef herd now stands at 27, including 12 breeding females, while total pig numbers now approach 70, including his 10 breeding sows. Pigs are indoors all winter and outside in the orchards during warmer drier months. The current pig building was previously used for chickens, but has been extended and altered. Other recent investments include two feed silos last year. It takes about five months for pigs to reach the desired 75kg deadweight David aims for. He uses Hampshire sows put to a Large White Duroc cross boar. While pork, sausages and bacon are particularly popular and profitable in the shop, cows and sheep are a particular passion, says David. “We can do so much with a pig in the shop, but as the business grows, the thing which really makes me tick is producing meat from grass. “I think turning sunlight into beef is an amazing process and so simple. We don’t do anything groundbreaking. David is grateful for all the practical help and advice he has received from local farmers. Having several years under his belt now, he feels he has a clear direction for the business. 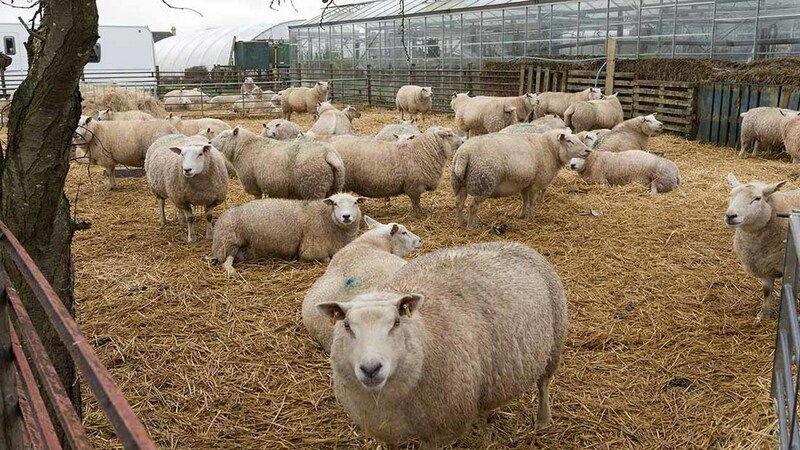 Looking to the sheep flock, David would like to double in size to 150 ewes, and likewise to market all lamb himself. He has recently applied for planning permission to double the preparation area of the butchery. This would enable him to use the current cutting room as shop space. Aside from the initial poster during the strawberry season, a feature in a local magazine and his own website, David has not advertised at all and instead his customers have been spreading the word for him. He has a part-time butcher to help prepare meat for sale and another helper who comes in to cure bacon once a week. He currently divides his week between focusing on the farm in the first half of the week, to serving in the shop when it opens on Thursdays, Fridays and Saturdays. He feels it is important to serve customers himself and he plans to open the farm for one or two lambing open days. He says: “Our unique selling point has always been that we produce everything sold in the shop. “People come and have a chat about farming as well as to buy something in the shop.